The leading solutions providers in the IoT sector will meet in Boston for the 4th Annual General Meeting of the IoT M2M Council. The event will include an afternoon conference program discussing a series of IoT use cases across various vertical markets, with panel discussions by the industry's leading experts. This informative afternoon program will focus on what you need to know to procure IoT software, hardware and connectivity. The sessions will provide a deep dive into use cases that can help you achieve your objectives. Qualified enterprise users, OEMs, and apps developers can attend at no cost but registration is required. Seats are available to the first 150 qualified registrants only. No area of deploying IoT solutions has been more confusing in recent context than IoT software platforms. Recent analysis puts the number of IoT platforms now available at over 400 and growing - and no platform is likely to be considered best-of-class in all functionalities for every application. This session will cover what you need to know to source IoT software properly - in terms of device management, connectivity management, data analytics & storage, and security. Suresh Ram, President, u-blox America Inc.
Asset tracking might be the single largest application area for IoT technology - from inventory control to managing remote resource that are mission-critical. This session will cover the latest trends in tracking assets in the field - low-power connectivity, ubiquitous coverage, increased computing power at the edge, predictive analytics, self-powering hardware, and more. Attendees will get an overview of where technology is moving for this cornerstone application. During this presentation, KORE's VP of Advanced Technology Adoption, Bill Kramer, will discuss seven steps to ensuring a successful IoT implementation. 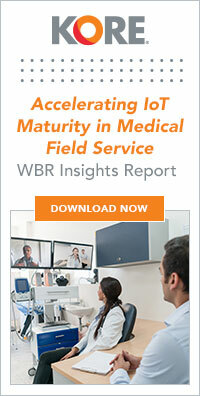 These seven steps will cover the entire end-to-end process from determining an organization’s IoT readiness all the way through IoT solution optimization, with information around key considerations and best practices for each.